This barn was built by Frank Thomson in 1908, using hand-cast concrete blocks, on his farm in the Rural Municipality of North Norfolk. 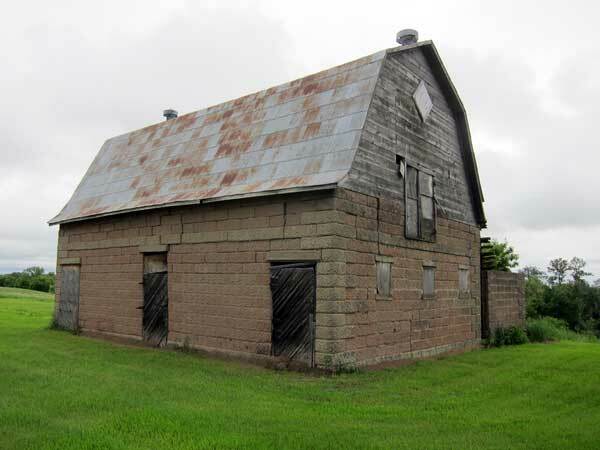 It is a rare surviving example of an agricultural use of this construction material, other concrete barns in the vicinity have been demolished. The building was in poor structural condition during a visit in 2012. This page was prepared by Gordon Goldsborough and Neil Christoffersen.